Diabetes is more known throughout the United States today than it’s ever been. 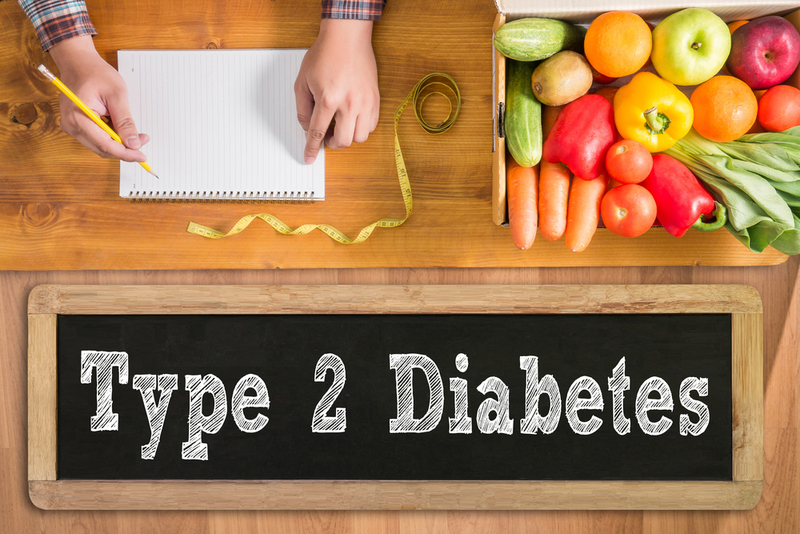 Type I diabetes cannot be prevented, but type II diabetes can be. But how can type II diabetes be prevented? The answer to that question is by keeping up with a healthy diet. A healthy diet includes only the right foods. The right foods include foods that help keep our body’s blood sugar under control. If our blood sugar is lower, we’ll have a fighting chance against type II diabetes. To start the fight against type II diabetes, check out the foods below that help in combatting the disease. Is there anything good about these foods? Well, not really. You see, dark chocolate has within it something known as cocoa flavonoids. These cocoa flavonoids act as antioxidants, which in turn improves our resistance to insulin. Are there any added bonuses? Well, yes, actually there is! Dark chocolate can also help out with heart disease prevention. However, even though dark chocolate is super good for those of you trying to combat type II diabetes, it’s not so good for your caloric intake. Be mindful that chocolate has a lot of calories, and that it’s not good to eat too much of it necessarily. Eat a little bit each day, and that should do the trick. Or, if you like the bitter taste, go for dark chocolate bars with high amounts of cocoa within them; Then you’ll be able to eat an entire chocolate bar per day. 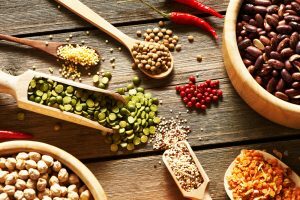 When trying to stabilize, or get rid of, your type II diabetes, stick with some of the following foods: black-eyed peas, lentils, beans, and chickpeas. These are all excellent at helping in the fight. Why eat foods such as these? Well, for example, beans are high in fiber, which in turn help calm those blood glucose levels down. All you have to do to get your daily necessary intake of legumes is to take out some bread or rice from your meal and replace it with the desired legume (use some of the examples stated above). Yogurt helps your stomach out; It gives it that full feeling, am I right? And, that’s just the reason yogurt can help in preventing type II diabetes, or so some researchers claim. Another reason yogurt is a leading food in the prevention of type II diabetes is because it’s a probiotic. As a probiotic, yogurt helps the body with its glucose regulation, so say many medical professionals. But I understand if you don’t like plain yogurt. Specifically, I understand if you don’t like plain Greek yogurt (one of the best kinds out there for you, especially if your fighting against the disease known as diabetes). So, instead of eating it plain, throw some flavorings in there. You can try some fruits if you’d like, or some nuts. But my ultimate suggestion is to get a few teaspoonfuls of something like raisins and/or dark chocolate. Choose your topping, sprinkle half of it into the yogurt, swirl the yogurt around, and sprinkle the other half in, and swirl it around again. If you need some extra room, I advise getting a bigger bowl. You don’t want your yogurt tasting bitter and lousy. Ask your doctor what you can do. There are definitely yogurts out there for you. Speaking of raisins, they are good in a yogurt and they are good by themselves, when combatting type II diabetes. But it’s not just raisins that can help you out. Typically, any type of dried fruit can help you in your fight against type II diabetes. The recommended serving size to get the desired effect is approximately three ounces. Have three ounces of the dried fruit of your choice, and you’ll be on your way. But why does dried fruit help? Well, because the dehydration process that the fruit goes through is critical in preserving everything that’s good for you about fruit. In other words, properties like anti-inflammatory aspects of fruits can be preserved, while still having the tastiness, and while getting rid of the unnecessary calories and sugars. 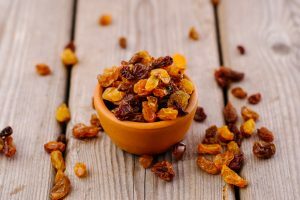 While you’re eating the raisins, or other dried fruits, think of what types of meals and/or desserts you can incorporate them into. For example, one of my favorite combinations is a spoonful or two of some all-natural peanut butter with some raisins on top. If you’re feeling frisky, add some cinnamon and see if you like it. What’s the best part about this dessert? It’s super healthy for you and your diabetes. Many of you probably haven’t heard of this food. And, if you have, you probably don’t know much about it. I say this because before I started eating healthy, I had no idea what this food was. But I’m here to tell you if you don’t already know. And, I’m here to tell you what it can do for your type II diabetes. The vegetable known as rutabaga has flesh that is filled with beta-carotene. And if you didn’t already know, beta-carotene converts into vitamin A once it is in our body systems. Many health care professionals have stated that men who have a diet with foods high in vitamin A are more likely to prevent themselves from type II diabetes. But what do I eat them with? I know, it’s a silly question to propose, yet still helpful. Replace your potatoes with these little guys. You can even treat them like potatoes by mashing them up and by adding some butter and/or garlic to season them like you would mashed potatoes. Don’t knock them until you try them.